If you have found the one who is right for you and if love brings together two people, then it knows no boundaries, no religion. Regardless of the methods and laws taught by the world and set limitations, love finds a way surround the ones who are meant for each other. 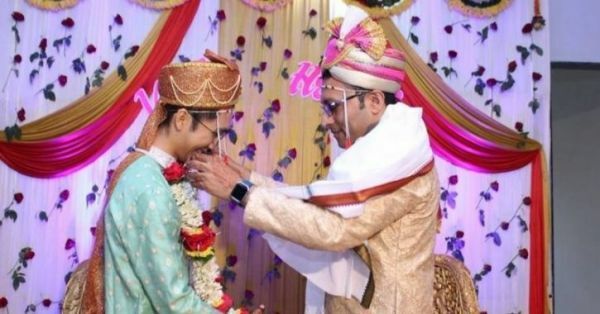 And one such story is of Hrishi Mohankumar Sathawane, a 40-year-old gentleman who recently married the love of his life Vinh from Vietnam. 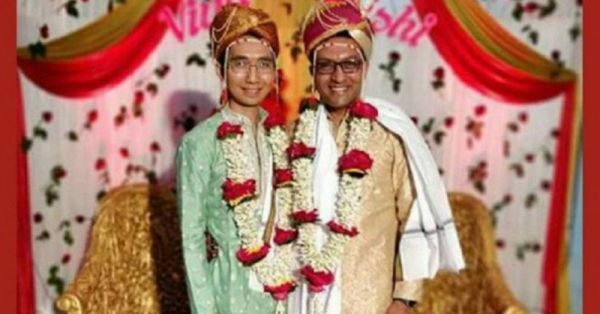 Hrishi is a US-based engineer, who married his gay lover in a traditional ceremony at Yavatmal in Maharashtra on 30th December 2018. Hrishi has pursued B-Tech from IIT-Bombay, and he presently lives in California and has a U.S.green card. The Supreme Court has agreed to review the criminalisation of homosexuality and that brings a hope to everyone in the LGBT community. The couple got married at a hotel a little distance away from the office of the Superintendent of Police (SP). The ceremonies were held with the blessing and well wishes from his friends and family. Although earlier his parents were against his homosexual affiliation, he soon managed to convince them for his marriage.